Would you like to study abroad during your time at the University of Iowa, but don't know where to start? 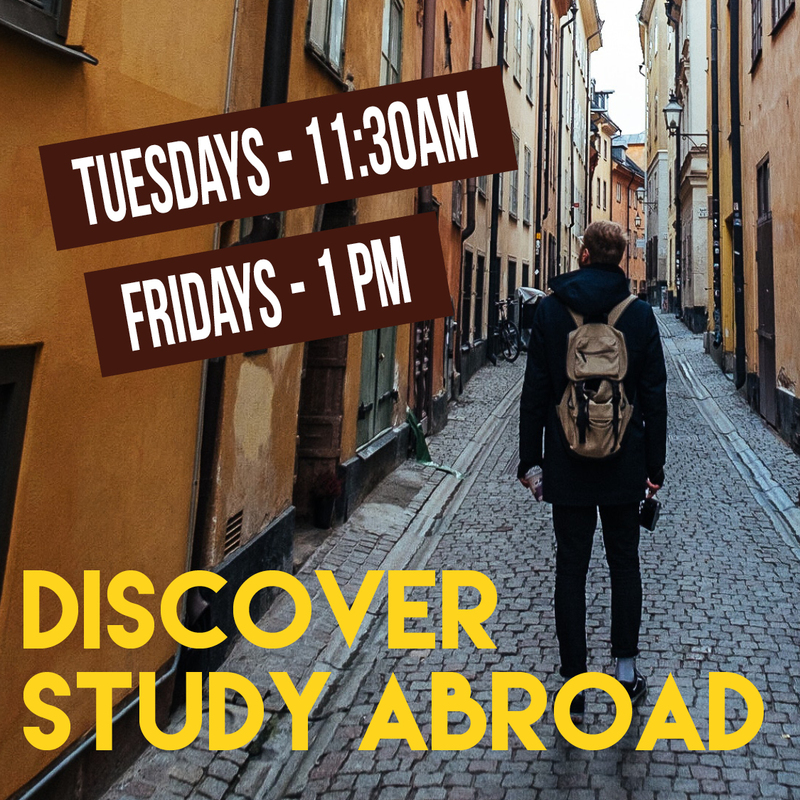 Attend one of our weekly Discover Study Abroad info sessions to learn how study abroad works and find the right international opportunity for you! When: Tuesdays at 11:30 a.m. & Fridays at 1 p.m.